Planète Chocolat offers you secure methods of payment. Our delivery charges for Texas are €17,60 including taxes. Chocolate delivery service in Texas! Thanks to Planète Chocolat’s gift delivery service in Texas, it is now possible to receive or to send chocolate to Houston, Dallas, San Antonio, Austin, Fort Worth or El Paso. 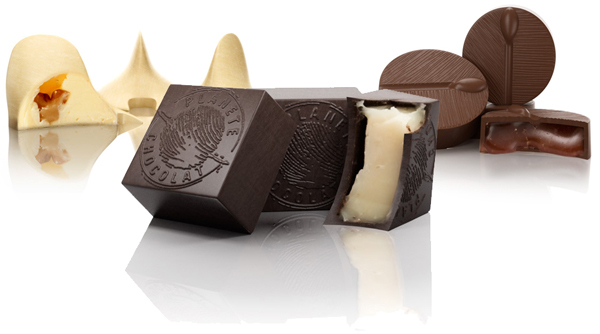 The goal is to preserve the taste of our caraques, truffles and other pralines that you know and love all made by our dedicated chocolate experts. A rather well-known Southern state in the U.S., Texas is one of the biggest territories in the country but also one of the most populated and wealthy. Texas is neighboured by New Mexico, Louisiana, Arkansas and Oklahoma and shares a vast border with Mexico. From a cultural point of view, Texas is a part of the Sun Belt, thanks to the tropical shores of the Gulf of Mexico and the revitalising economy of gas, hydrocarbon and the aerospace industry. However, Texas’ image is more specifically associated with Far West mythic representations and desert landscapes; where those famous cowboys and bounty hunters ride. Furthermore, Texas represents the south of the U.S. with its culture and traditions, as well as heritage ; a subtle mix of Native American, Hispanic, Anglo-Saxon and African American. It is in this cultural melting pot that Texas sheet Cake was invented, the ultimate Texan delicacy that is both retro and rustic. What’s unique about it: this dessert is cut up and served directly on a cooktop! It is from a distant origin. However, the first recipe was published in 1957 in Dallas. The cake was named the German Chocolate Cake. Its simplicity and user-friendliness has helped it become popular, and has made its way across the entire country. And, who knows, maybe athletes will get to try some of this cake. Texan researchers started to study the effect chocolate has post-exercise. According to Doctor John Ivy, who is a physiologist at the University of Austin, nonfat milk chocolate could in fact improve casual athletes’ performance as well as help professionals train. Surely a way to make athletes happy without making them feel guilty! So then, take advantage of placing an order shipping Dallas, for yourselves or to offer somebody delicious chocolates for various occasions like baptisms, a baby being born, weddings, a religious holiday or Valentine’s day. In order to guarantee a quality delivery service to Texas, we wrap your chocolate in a special isothermal package invented by cooling specialists if temperatures tend to be high. Your chocolate is sensitive to heat and fragile, therefore it is protected from impact and kept at a temperature under 20 degrees until it arrives at its destination. Thus, quality and taste are always guaranteed.